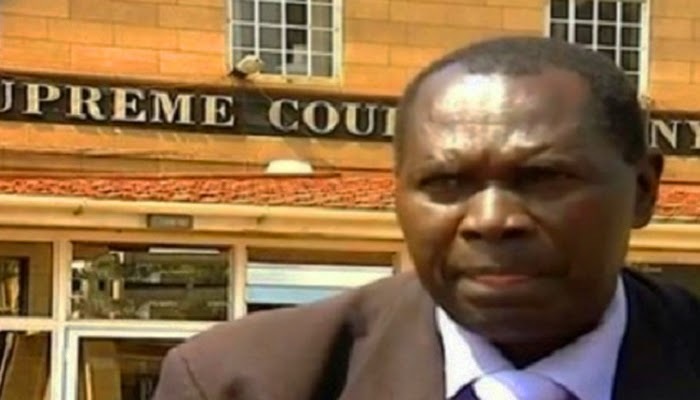 A Kenyan lawyer filed a petition with the International Court of Justice in The Hague, suggesting that the trial and crucifixion of Jesus Christ was unlawful, and the State of Israel among others should be held responsible, Kenyan news outlet the Nairobian reported some time ago. “I filed the case because it’s my duty to uphold the dignity of Jesus and I have gone to the ICJ to seek justice for the man from Nazareth,” Indidis told the Nairobian. He is challenging the mode of questioning used during Jesus’s trial, prosecution, hearing and sentencing; the form of punishment meted out to him while undergoing judicial proceedings and the substance of the information used to convict him. Ify Nne Junior Adenuga This Lawyer should be sent to St. Ann's Hospital in tottenham or to one of our self aggrandised men/women of god in our nation - he needs deliverance...where are the witnesses he's going to bring to this case to win it! FOOL! Eni ri nkan he t'ofe ku pelu o owo eni t'oti sonu nko? The person wey find something wey want kill himself for the thing what about the person wey lose the thing? Jenny Chika Okafor Ify Ify Nne Junior Adenuga I thought that I was the mad person here. I am very exhausted today and therefore had to listen to it a few times to be sure about what i thought that i was hearing. The church people have done in his head big time. He will do with some rest in maudsley kings college hospital London. Ify Nne Junior Adenuga The difference to that my brother Francis Van-Lare is - slave trade was a first hand experience of generations of black people and so in order to pursue that - here who are the witnesses my brethren will be calling up to the dock to support his argume..
Michael Chukas Nwachukwu My dear attorney the one thing you can do for Jesus is to evangelize Kenya and beyond than seeking unnecessary publicity for yourself. If after that you are still seeking for someone to sue, you may sue ISIS. Nana Sekyi Jenny, he has his place assured in the kingdom of heaven. Why is he not bringing the law suit in Israel or Italy? Fab Udeh All work and no play makes a jack a dull boy. Hahaha l laugh my heart out. Then again, a man here once sued satan and his staff for causing him misery and unwarranted threats and placing obstacles in his way and causing his downfall... So anything is possible these days.